The Standard and Poor’s 500 is widely recognized as the superior gauge of large-cap U.S. equities. With trillions of dollars indexed, the S&P 500 captures around 80% of the available market capitalization. It is concerned with the largest U.S. publicly-traded companies and, along with the Dow Jones and Russell 2000 indexes, serves as a benchmark for buyers and sellers of stocks. How did it gain such prominence? What exactly is a large-cap company? Let’s take a walk down Wall Street for a greater understanding of the S&P. The Standard Statistics Company was established in 1906 to provide financial data on non-railroad companies. Then, their stock index followed the fortunes of 233 companies and their data was computed weekly, which would improve over the years to a daily analysis of stocks. In 1926, the Standards Statistics Company began utilizing a composite price index based on a limited number of stocks. The intention was to create a model that could measure market performance over time. The Standard Statistics Company merged with Poor’s Publishing in 1941, raising the number of analyzed companies to 416. It was in 1957 that the company began to operate under the title of the Standard and Poor’s 500 Index, commonly referred to as the S&P 500. The 500 stocks were in large part industrial, with the remainder consisting of utility and rail companies. The Chicago Mercantile Exchange began trading S&P-based futures in 1982. 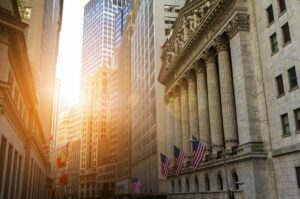 Since then, America’s has seen the introduction of the first major exchange-traded fund in 1993, called the Standard and Poor’s Depositary Receipts (SPDR). Much like the broader stock market it represents, the S&P 500 has always been a strong, long-term performer but it has weathered some seriously hard times, as the two most recent crashes in the 2000s illustrate. The first of these, the dot.com crash, was caused by a speculation error by traders and investors who saw tech stocks as virtually invincible. New start-ups were rampant as the media portrayed an Internet-fueled boom so large it might support an entirely new, endlessly-growing economy. In March 2000, tech stocks accounted for a peak of 34% of the S&P 500’s value. As we all know, this exploding bubble led to a crash… one that eventually wiped out half the stock market’s total value. The next huge bubble resulted in the real estate-fueled crash between 2007 and 2009. The coast-to-coast housing boom saw housing prices reach new highs, influencing speculation on various directly-related and indirectly-related vehicles, along with an unsustainable inflation in consumer spending. Once the bill came due, property values declined, more homeowners failed to make sky-high mortgage payments, and the dam broke. Banks took big losses as mortgage-backed securities plummeted. An initial bank bailout bill was sent to Congress where it was rejected. Eventually, one was passed in October 2008, but the crisis by then had reached global levels. The effects of this credit and financial crisis lasted for years. And while the economy has recovered, many traders and investors – at least, the smart ones – are still very cautious to heed the lessons from the crash. Catastrophic as those two bubbles were, the S&P weathered the storms in the long-run. According to Morningstar Direct, a March 2009 S&P investment of $100,000 would currently be worth $358,754; an increase of 358%. But that is the long-run. The fact is, any investor who depends on income-generating investments – especially retirees – should pay attention to the lessons from these most recent crashes, as well as the ones farther in the past. Crashes can happen, and they will happen again. Better than the Dow… how? The S&P 500 is a superior measuring index compared to the more recognized Dow Jones Industrial Average. How much better? In basic terms, you might say that the S&P is around 16 times better. The reason: the Dow draws its data from the stocks of only 30 companies. The S&P 500, therefore, gives wider sector representation coupled with a much broader view of the market, despite the Dow’s seniority (it started in 1896) and its arguably-greater name recognition. Members of the 500 have a market capitalization of $5.3 billion or above, hence their designation as large-cap entities. Simply put, market capitalization is the sum value of all a company’s outstanding shares. The S&P is also viewed by many as a superior system due to its weighing stocks by their market value as opposed to their book value (how much a company is worth by totaling its assets). Going by market value reveals quite a bit about the companies in question as well as being simpler for many investors to understand. Not only does it clearly display the price of each available share on the open market, this valuation also helps potential investors see what current shareholders feel the stock is worth. This can be a good indicator of investor interest and how a company may be heading for better or worse things. One concern is that tech stocks make up 23.6% of the S&P 500’s weight. And the FAANG stocks (Facebook, Amazon, Apple, Netflix, and Google) make up 10.6% of the S&P 500 valuation. That’s a lot of value in a handful of stocks. For a trip through time, visit this interactive historical chart. It will take you back to the earliest days of the S&P 500 and give you hourly updates on its current status. Of course, some of the most valuable and pertinent information comes from consulting with investment professionals. At Stuart Estate Planning Wealth Advisors, we offer full-service financial, estate planning, and retirement strategies, all done with a strong personal concern for our clients. 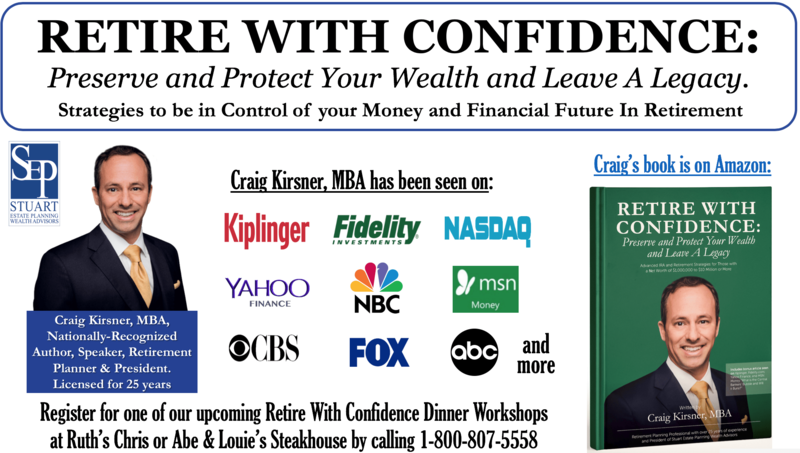 To discover how we can help you invest wisely and help safeguard your assets for generations to come, sign up for an upcoming retire with confidence dinner workshop at Ruth’s Chris or Abe & Louie’s Steakhouse in Boca Raton or Fort Lauderdale. Call 1-800-807-5558 to learn more or RSVP.